While the Investment Board of Nepal tried to entice foreign investors into putting money in Nepal during the two-day Investment Summit, which saw the participation of over 1,300 domestic and foreign delegates, two provincial governments tried to make the most of it. 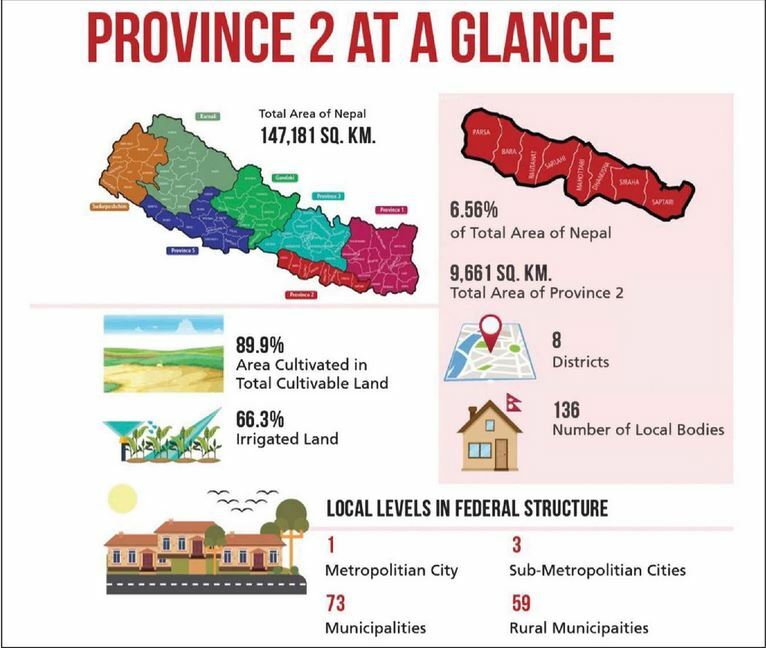 Even though the Investment Board Nepal, which organised the event on behalf of the federal government, had selected a number of projects from different provinces, Province 2 and Sudurpaschim Province tried to woo the investors in their own way. The eight districts of Province 2 and nine of Sudurpaschim Province have for long fared poorly in the human development index. Bajura and Bajhang of Sudurpaschim Province are at the bottom of the human development index and Achham is fifth from the bottom, according to the National Planning Commission. In province 2, Rautahat and Mahottari are sixth and seventh from the bottom in the human development index. When the country moved to the federal system from the unitary system of governance, the idea was to devolve power, develop them and ensure effective service delivery to the public. As the entire country strives to build infrastructure, provinces do not want to fall behind in the race. “It is difficult for provinces to organise such large-scale events. So, we sought to use the Investment Summit platform at best we can,” said Jhapat Bohora, minister for economic affairs and planning of Sudurpaschim Province. Now with stability in the country, officials from Province 2 said they want to ensure socio-economic-political transformation. Not long ago, the districts, which are now in Province 2, were a hotbed of unrest as the people from the Madhes were protesting against the discrimination they faced from Kathmandu. Protests continued for months in the run-up to the constitution promulgation in September 2015 and scores of people had died. Following the promulgation of the constitution, the country in 2017 successfully held elections for three tiers of government. Now, governments in all provinces are fully functional, and Province 2 now wants to portray itself as one of the regions where investors can put their money. Since last year, its provincial government has endorsed 16 bills. Exemption of taxes to be levied by the province for 20 years, land allocation on the lease, completion of the business registration process in three hours and access to road and electricity are some of the key decisions the provincial government has made in recent months. Last month, the Province 2 government decided to provide security to industries through provincial police in addition to various other incentives. Province 2 got a big boost during the summit when CG Infrastructure, an arm of Chaudhary Group, announced that it would set up a 200MW solar plant in the province. 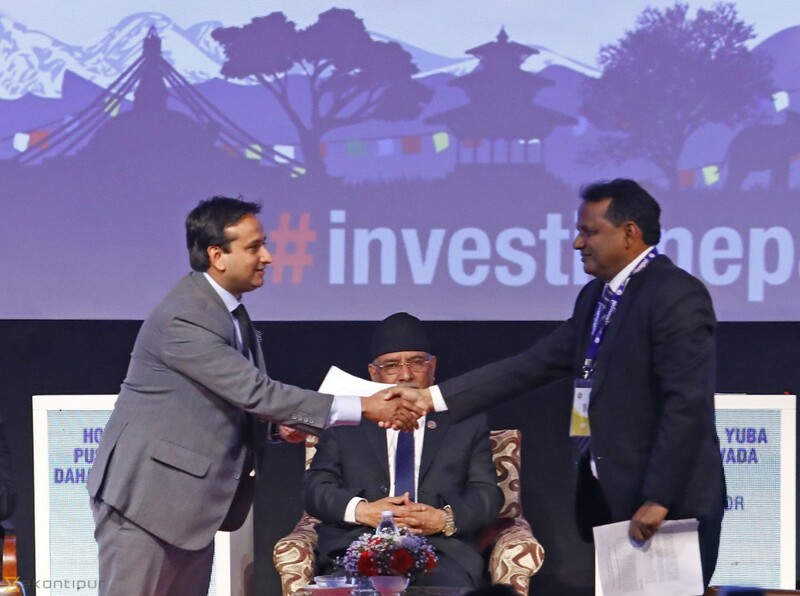 A memorandum of understanding was signed between Province 2 Chief Minister Lalbabu Raut and Nirvana Chaudhary, head of CG Infrastructure, on the second and last day of the Investment Summit on Saturday. CG Infrastructure plans to set up a solar assembly plant in the province, which is expected to contribute to the country’s renewable energy efforts while generating employment opportunities. “We plan to set up various solar plants in all eight districts of the province with their capacities more or less evenly distributed,” he said. The two sides started discussions on the project some two months ago. According to Chaudhary, recent incentives announced by the Province 2 government for investors were yet other reasons that gave his company more confidence to set up the solar plant assembly in the province. Sudurpaschim Province, which sought to attract investment by displaying its projects during the summit, is also working on providing competitive incentives to investors who inject their capital into the region. The Sudurpaschim government has already sent a bill on Industrial Enterprises Act to the provincial assembly. “We have proposed tax exemption for 5 to 15 years, provide land on long-term lease, coordinate with the federal government for an additional tax exemption and ensure one-door service facility to the investors,” said Bohora, the minister from Sudurpaschim. The Sudurpaschim government is also drafting a bill on the Provincial Investment Board. “We have proposed that the Provincial Investment Board will approve the projects that cost between Rs1 billion and Rs5 billion,” said Bohora. He said that the law would be in line with federal law when it comes to investment. Sudurpaschim Province tried to attract investors to invest in the areas of herbal production, collection and processing, solar energy, cable car, tourism, sheep farming and wool industry, cement, luxury hotels, technical university and pharmaceutical industries. Federalism observers said the provincial governments’ proactive approach to wooing investors is praiseworthy.